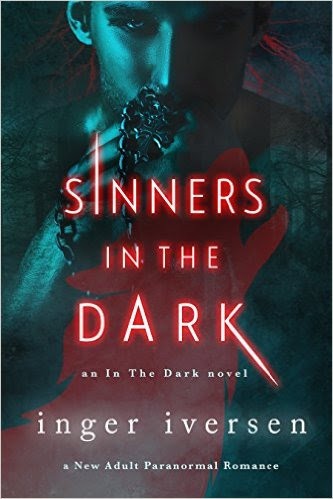 Thank you for joining us on the Release Week Celebrations for Sinners in the Dark, a Young Adult Paranormal Romance Novel by Inger Iversen (24 March 2013, Inger Iversen Books, LLC, 192 pages). This is the second book in the In the Dark series. PREVIEW: Check out the book's synopsis, playlist and excerpt below, as well as details of the other books in the series. Read the Prologue and the first two chapters with Amazon Look Inside. Author Inger Iversen will be awarding a $25 Amazon gift card to a randomly drawn winner via Rafflecopter during the tour. 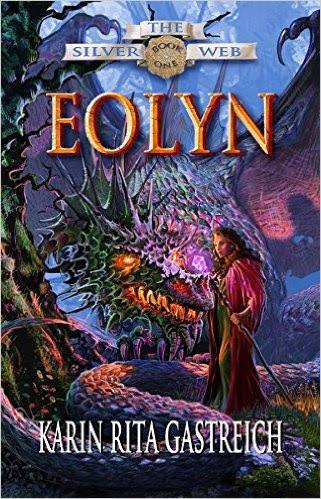 Thank you for joining us on the Virtual Book Tour for Eolyn, a Fantasy by Karin Rita Gastreich (first published 6 May 2011; this second edition 31 March 2016, Orb Weaver Press, 328 pages). This is the first book in The Silver Web series. PREVIEW: Check out the book's synopsis, audio excerpt, and writen excerpt below. Read the first five chapters with Amazon Look Inside. Eolyn is FREE on Kindle Unlimited and Kindle Owner's Lending Library. Author Karin Rita Gastreich will be awarding a $15 Amazon/BN gift card to a randomly drawn winner via Rafflecopter during the tour. Please do take part: comment on our post and follow the tour where you will be able to read other excerpts (☀). 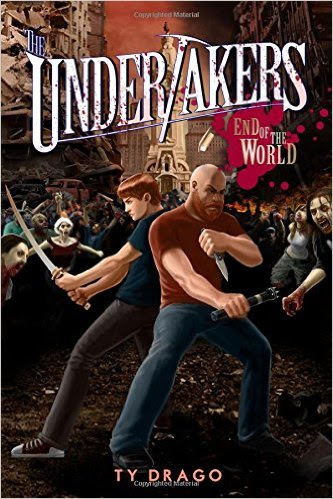 Today we have the pleasure of meeting up with author Ty Drago to talk about End of the World (29 March 2016, Month9Books, LLC, 398 pages), a Young Adult action adventure, fifth and final instalment of The Undertakers series. Thank you for joining us on the Virtual Book Tour for Sasha's Story, a Young Adult Contemporary Romance by Melissa Frost (25 March 2016, Evernight Teen, 103 pages). 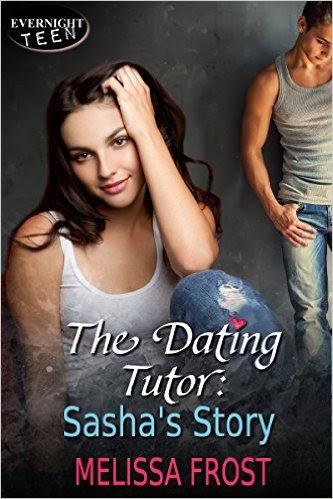 This is the fourth book in The Dating Tutor series. PREVIEW: Check out the book's synopsis and excerpt below, as well as details of the other titles in the series. Read the first four chapters with Amazon Look Inside. Author Melissa Frost will be awarding a $10 Evernight Teen GC gift card to a randomly drawn winner via Rafflecopter during the tour. Visit Melissa Frost on her Facebook page for special giveaways. Thank you for joining us on the Virtual Book Tour for Calling the Reaper, a Dark Fantasy by Jason Pere (first published 26 September 2015, this edition 9 February 2016, Rambunctious Ramblings Publishing Inc., 191 pages). This is the first book in the First Book of Purgatory series. 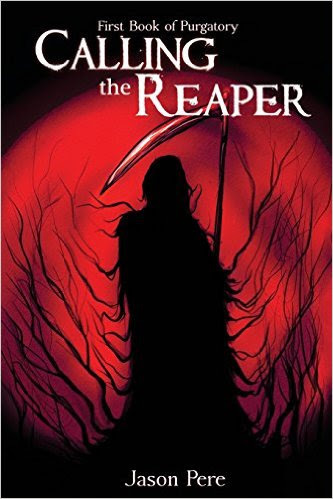 Author Jason Pere will be awarding one print copy of Calling the Reaper,(international winner) or 2 ebooks (one of Calling the Reaper and the second winner's choice) to a randomly drawn winner via Rafflecopter during the tour. Thank you for joining us on the Release Day Party for End of the World, a Young Adult action adventure by Ty Drago (29 March 2016, Month9Books, LLC, 398 pages). This is the fifth and LAST book in The Undertakers series. Don't miss our interview with author Ty Drago. PREVIEW: Check out the book's synopsis and excerpt below, as well as details of all other titles in the series. Read various excerpts with Amazon Look Inside. 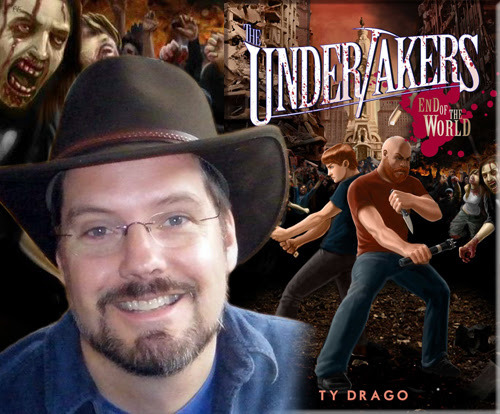 Author Ty Drago will be awarding a digital copy of The Undertakers 5: End of the World by Ty Drago (INT) to five randomly drawn winners via Rafflecopter during the tour. Please do take part: comment on our post and follow the tour where you will be able to read other excerpts (☀), interviews (ℚ), reviews (✍) and guest blog posts (✉). Thank you for joining us for the Release Day Party for Three Weeks To Wed, a Regency Historical Romance by Ella Quinn (29 March 2016, Zebra Shout, 320 pages). PREVIEW: Check out the book's synopsis and excerpt below, as well as details of the forthcoming second book in the series. Read the first two chapters with Kobo Preview. Author Ella Quinn will be awarding a one signed print ARC of Three Weeks to Wed to five randomly selected winners during the tour. Please do take part: comment on our post and follow the tour where you will be able to read other excerpts (☀), and reviews (✍). 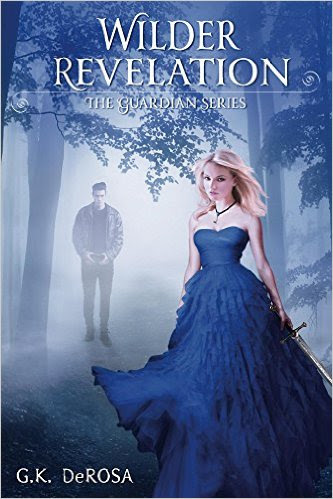 Thank you for joining us on the Virtual Book Tour for Wilder Revelation, a Young Adult Paranormal Romance by G.K. DeRosa (21 February 2016, G.K. DeRosa LLC, 346 pages). PREVIEW: Check out the book's synopsis and the four short excerpts below taken from the first few chapters. Wilder Revelation is FREE on Kindle Unlimited and Kindle Owner's Lending Library. 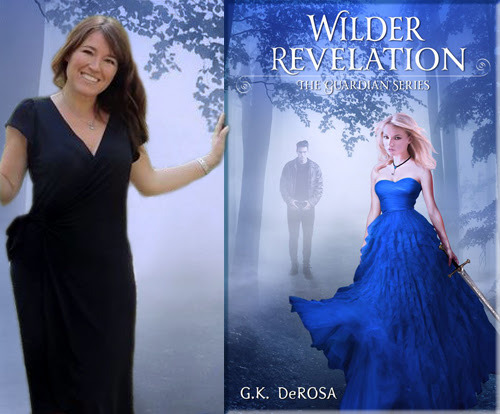 Author G.K. DeRosa will be awarding a paperback copy of each of the books in the series - Wilder, Wilder Destiny, and Wilder Revelation – and a $25 Amazon gift card to a randomly drawn winner via Rafflecopter during the tour. Please do take part: comment on our post and follow the tour where you will be able to read other excerpts (☀), interviews (ℚ), reviews (✍) and guest blog posts (✉). 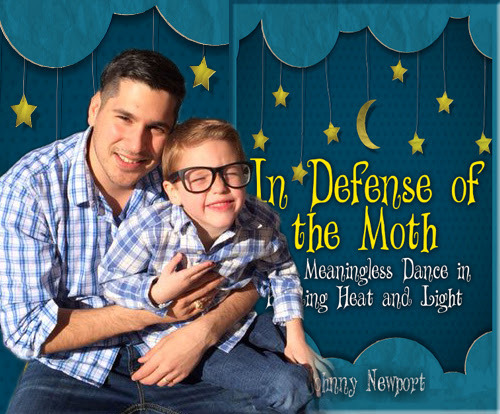 Today we have the pleasure of meeting up with author Johnny Newport to talk about In Defense of the Moth Or a Meaningless Dance in Blinding Heat and Light (15 January 2016, Gnome On Pig Productions, 152 pages), a Literary Fiction novel. 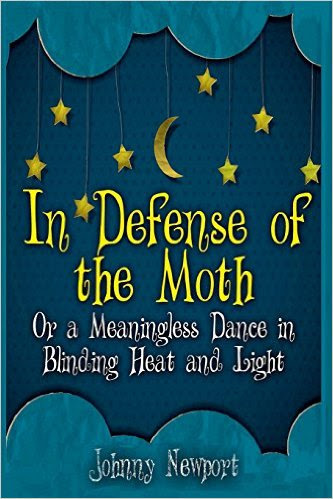 Thank you for joining us on the Virtual Book Tour for In Defense of the Moth Or a Meaningless Dance in Blinding Heat and Light, a Literary Fiction novel by Johnny Newport (15 January 2016, Gnome On Pig Productions, 152 pages). Don't miss our interview with author Johnny Newport. Author Johnny Newport will be awarding a $15 Amazon/BN gift card to a randomly drawn winner via Rafflecopter during the tour. 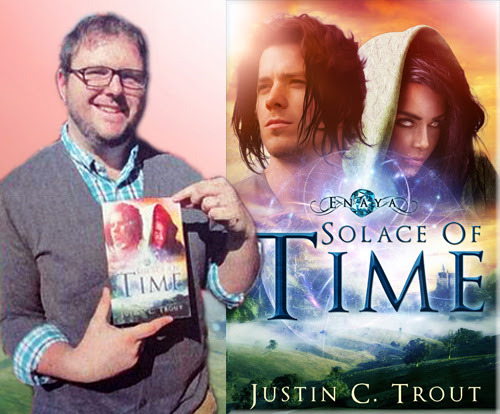 Today we have the pleasure of meeting up with author Justin C. Trout to talk about Solace of Time (14 December 2015, Justin C. Trout, 302 pages), a Young Adult Fantasy, book one of the Enaya series. 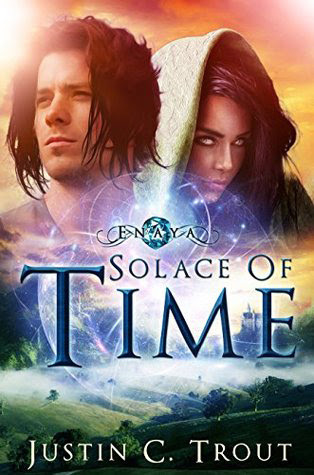 Thank you for joining us on the Virtual Book Tour for Solace of Time, a Young Adult Fantasy by Justin C. Trout (14 December 2015, Justin C. Trout, 302 pages). This is the first book in the Enaya series. Don't miss our interview with author Justin C. Trout. Solace of Time is FREE on Kindle Unlimited and Kindle Owner's Lending Library. Author Justin C. Trout will be awarding two signed copies of Enaya: Solace of Time (US/CAN), two ebook copies of Enaya: Solace of Time (INTL), and two posters of the book cover (INTL). to a randomly drawn winner via Rafflecopter during the tour. 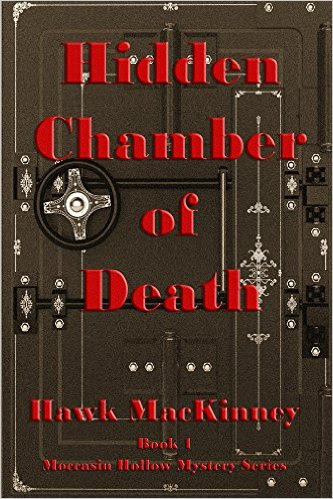 Thank you for joining us on the Virtual Book Tour for Hidden Chamber of Death, a Mystery Suspense by Hawk MacKinney (15 January 2016, Sage Words Publishing, 257 pages). PREVIEW: Check out the book's synopsis and excerpt below, as well as the Q&A with author Hawk MacKinney. Read the Prologue and the first two chapters with Amazon Look Inside. Hawk MacKinney will be awarding a $20 Amazon/BN gift card to a randomly drawn winner via Rafflecopter during the tour. 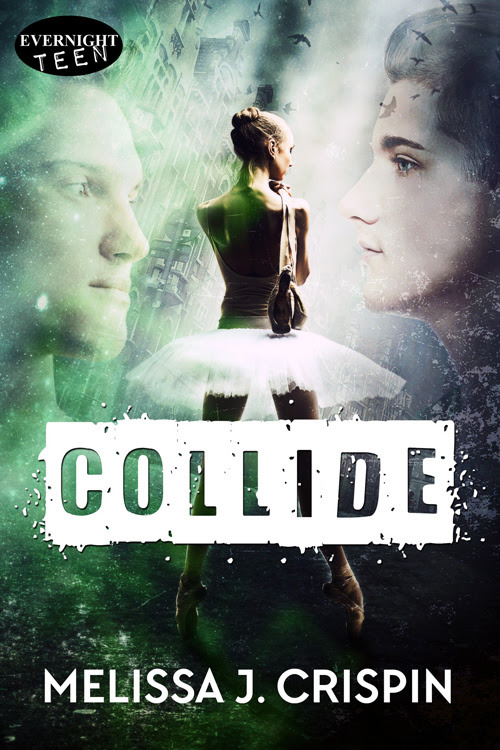 Thank you for joining us on the Virtual Book Tour for Collide, a Young Adult love triangle Fantasy Romance by Melissa J. Crispin (18 March 2016, Evernight Teen, 274 pages). Author Melissa J. Crispin will be awarding a $15 Amazon gift card to a randomly drawn winner via Rafflecopter during the tour. Thank you for joining us on the Virtual Book Tour for Checkmate, a Hard Boiled Mystery by Blair Howard (17 February 2016, Blair Howard, 284 pages). This is the fourth stand-alone book in The Harry Starke Novels series. Grab the first instalment, Harry Stark, FREE when you sign up to Blair Howard's Newsletter!! PREVIEW: Check out the book's synopsis and excerpt below, as well as details of the other books in the series. Read the first three chapters with Amazon Look Inside. 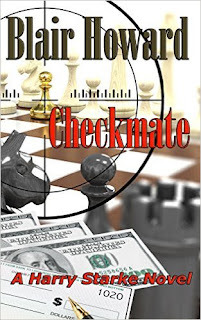 Checkmate is FREE on Kindle Unlimited and Kindle Owner's Lending Library. 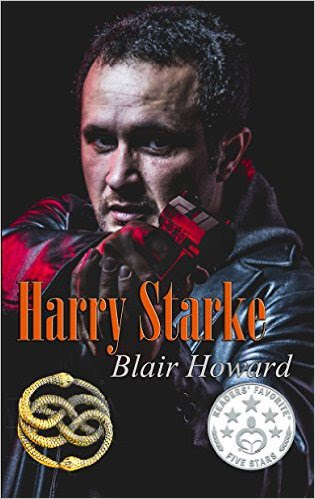 Author Blair Howard will be awarding one signed copy of Harry Stark (Book 1) to two randomly drawn winners via Rafflecopter during the tour. Please do take part: comment on our post and follow the tour where you will be able to read other excerpts (☀), interviews (ℚ), reviews (✍) and guest blog posts (✉). Thank you for joining us on the Virtual Book Tour for Dreams of Her Own, a Contemporary Romance by Rebecca Heflin (27 January 2016, Soul Mate Publishing, 238 pages). This is the third book in the Dreams Come True series. Dreams of Her Own is FREE on Kindle Unlimited and Kindle Owner's Lending Library. Author Rebecca Heflin will be awarding a $5 Amazon/BN gift card to a randomly drawn winner via Rafflecopter during the tour. Please do take part: comment on our post and follow the tour where you will be able to read other excerpts (☀). 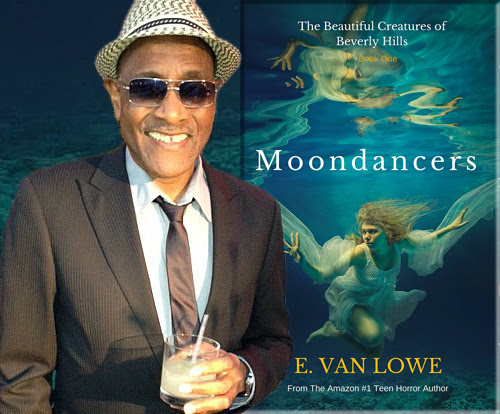 Today we have the pleasure of meeting up with author E. Van Lowe to talk about Moondancers (11 February 2016, EViL E Books, 203 pages), a Young Adult Paranormal Romance, book one of The Beautiful Creatures of Beverly Hills series. Thank you for joining us on the Virtual Book Tour for The Reluctant Lover, a Contemporary Romance by Justine Lewis (15 March 2016, e-penguin, 202 pages). PREVIEW: Check out the book's synopsis and excerpt below, as well as the other books by Justine Lewis. Read the first chapter with Amazon Look Inside. Author Justine Lewis will be awarding a $25 Amazon/BN gift card to a randomly drawn winner via Rafflecopter during the tour. Please do take part: comment on our post and follow the tour where you will be able to read other excerpts (☀), and reviews (✍). 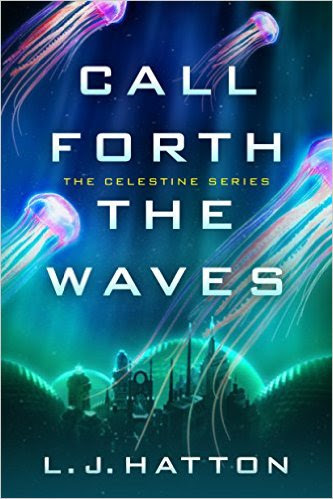 Thank you for joining us for the release day party for Call Forth the Waves, a Young Adult Science Fiction novel by L.J. Hatton (22 March 2016, Skyscape, 348 pages). This is the second book in the Celestine series. PREVIEW: Check out the book's synopsis and excerpt below, as well as details of the first book in the series, Sing Down the Stars. Read the first chapter with Amazon Look Inside. Call Forth the Waves is FREE on Kindle Unlimited and Kindle Owner's Lending Library. Author L.J. Hatton will be awarding three e-book copies of Sing Down the Stars to a randomly drawn winners via Amazon Giveaways during the tour. Thank you for joining us on the Virtual Book Tour for The Honeydripper Affair, a Romantic Suspense Thriller by Joanna Kidson (16 February 2016, Joanna Kidson, 228 pages). "A modern thriller, laced with suspense and played out on the streets of London under a romantic backdrop." 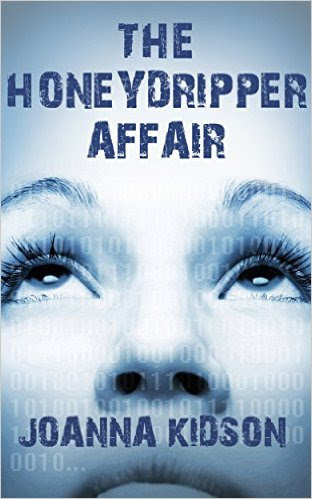 The Honeydripper Affair is FREE on Kindle Unlimited and Kindle Owner's Lending Library. Author Joanna Kidson will be awarding a $30 Amazon/BN gift card to a randomly drawn winner via Rafflecopter during the tour. Please do take part: comment on our post and follow the tour where you will be able to read other excerpts (☀), and reviews (✍). 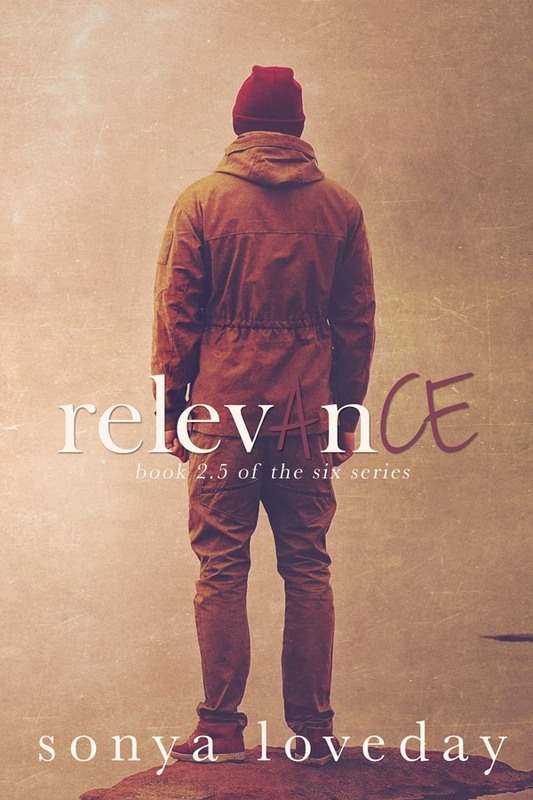 Thank you for joining us for the Release Day Week for Relevance, a New Adult Contemporary Romance Novella by Sonya Loveday (21 March 2016, Sonya Loveday, 113 pages). This is the 2.5th book in The Six series. PREVIEW: Check out the book's synopsis and excerpt below. Read the first chapter with Amazon Look Inside. Relevance is FREE on Kindle Unlimited and Kindle Owner's Lending Library. Author Sonya Loveday will be awarding a $20 Amazon gift card to a randomly drawn winner via Rafflecopter during the tour. 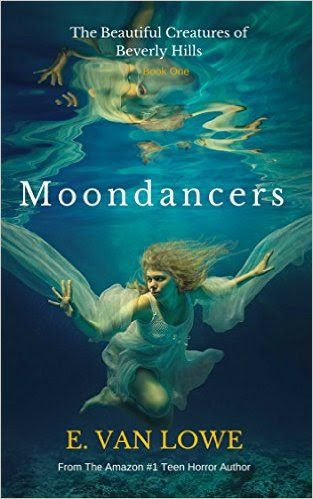 Thank you for joining us on the Virtual Book Tour for the newly released Moondancers, a Young Adult Paranormal Romance by E. Van Lowe (11 February 2016, EViL E Books, 203 pages). This is the first book in The Beautiful Creatures of Beverly Hills series and it is on sale for only .99! Don't miss our interview with author E. Van Lowe. PREVIEW: Check out the book's synopsis, trailer and excerpt below. Read the Prologue and the first three chapters with Amazon Look Inside. Moondancers is FREE on Kindle Unlimited and Kindle Owner's Lending Library. 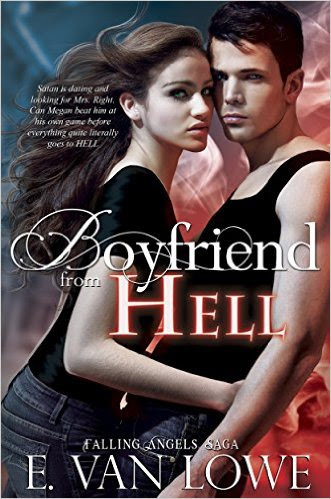 Grab your copy of Boyfriend from Hell FREE from Amazon!! or sign up to E. Van Lowe's Newletter and also get the second book in the series, Earth Angel, FREE! 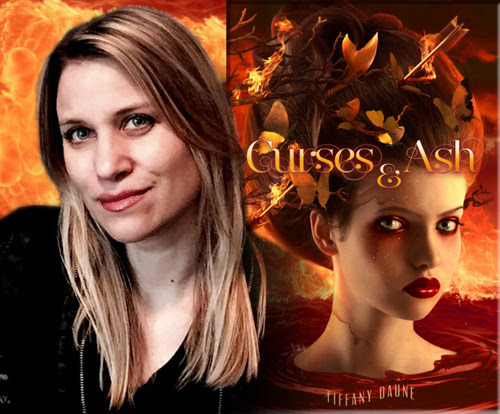 Today we have the pleasure of meeting up with author Tiffany Daune to talk about Curses & Ash (20 January 2016, Jester Ink Press, 248 pages), a YA Urban Fantasy, book one of the Coral & Bone series. “I couldn’t stop reading this book from the moment I clicked on the first page. The characters seemed so real and when I thought maybe at the end of the page I could put the book down, something incredible would happen and I’d have to keep going. I absolutely loved Halen and of course who couldn’t love Dax? There was plenty of action and adventure and I loved all the magick as well. I hope there is more to come. 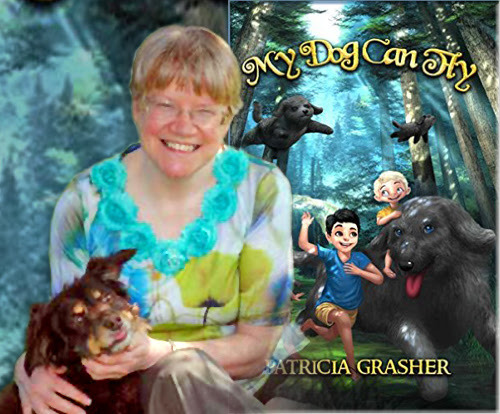 Today we have the pleasure of meeting up with author Patricia Grasher to talk about My Dog Can Fly (14 March 2016, Hazel Dell Press, 116 pages), a Middle Grade Adventure. This first book introduces Michael. A young boy who craves lots of adventure and excitement. If he can’t find it he makes it up. Emma is Michael’s cousin. In former years she was quite as ready for adventure and fun as Michael. This year though she is concerned about her parents who have disappeared while on a magazine assignment. Woven between the fantasy and action of the story is a book that encourages trust and faith in oneself and others. The book also explores the natural beauty and mystery of the Oregon coast. Thank you for joining us on the Release Day Party for In the Hope of Memories, a Young Adult Contemporary stand-alone novel by Olivia Rivers (21 March 2016, Red Sparrow Press, 328 pages). Don't miss our Guest Post by author Olivia Rivers. 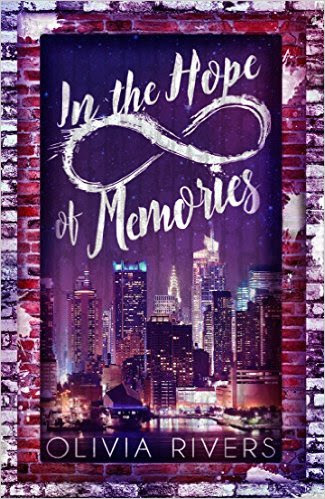 Author Olivia Rivers will be awarding one e-book copy of In The Hope of Memory to a randomly drawn reader of our blog via Rafflecopter. 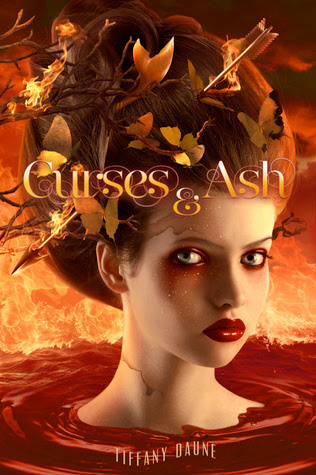 Thank you for joining us on the Virtual Book Tour for Curses & Ash, a YA Urban Fantasy by Tiffany Daune (20 January 2016, Jester Ink Press, 248 pages). This is the second book in the Coral & Bone series. Don't miss our interview with author Tiffany Daune. Curses & Ash is FREE on Kindle Unlimited and Kindle Owner's Lending Library. 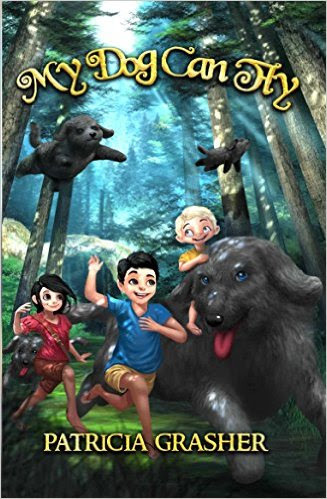 Thank you for joining us on the first day of the Release Week Celebrations for My Dog Can Fly, a Middle Grade Adventure by Patricia Grasher (14 March 2016, Hazel Dell Press, 116 pages). Don't miss our interview with author Patricia Grasher. My Dog Can Fly is FREE on Kindle Unlimited and Kindle Owner's Lending Library. Author Patricia Grasher will be awarding a $15 Amazon/BN gift card to a randomly drawn winner via Rafflecopter during the tour. 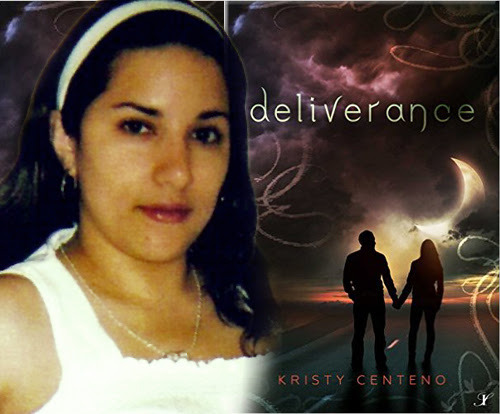 Today we have the pleasure of meeting up with author Kristy Centeno to talk about Deliverance (19 March 2016, Inkspell Publishing, 327 pages), a New Adult Paranormal Romance. A very warm welcome to Krisy Centeno; thank you for joining us on BooksChatter! What was the inspiration for Deliverance? "Well, this might sound a little odd, but the inspiration for Deliverance came after a bizarre dream I had one night while I was pregnant with my now 2 year old daughter. 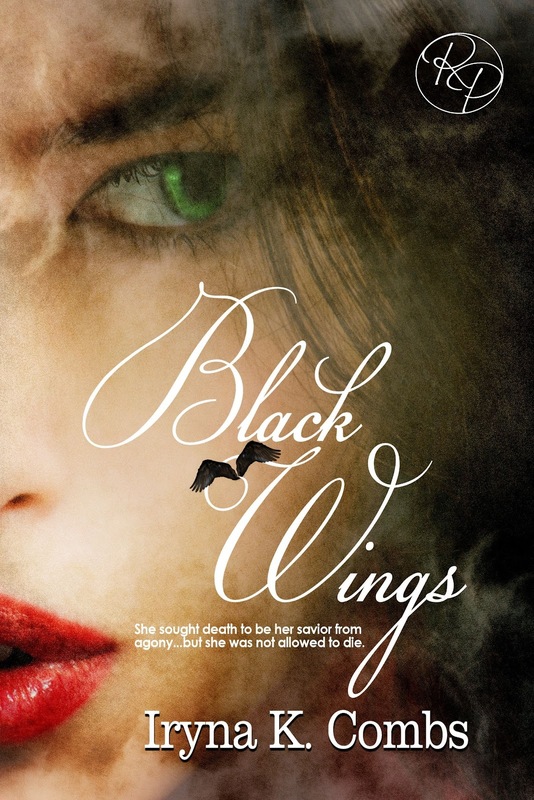 Thank you for joining us on the Virtual Book Tour for Black Wings, a Sci-Fi Mystery Romance, rated two flames, by Iryna K. Combs (21 October 2015, Roane Publishing, 226 pages). Black Wings is currently on sale on Amazon.com:download your copy for only 99¢ until 22 March 2016! Price goes up to $2.99 on March 23rd, then $4.99 on March 25th. PREVIEW: Check out the book's synopsis, trailer and excerpt below. Read the Prologue and the first two chapters with Amazon Look Inside. Black Wings is FREE on Kindle Unlimited and Kindle Owner's Lending Library. 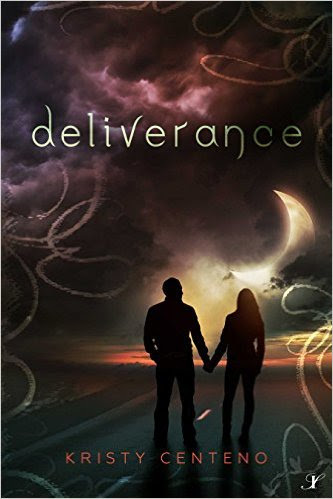 Thank you for joining us on the Release Day Party for Deliverance, a New Adult Paranormal Romance by Kristy Centeno (19 March 2016, Inkspell Publishing, 327 pages). Don't miss our interview with author Kristy Centeno. 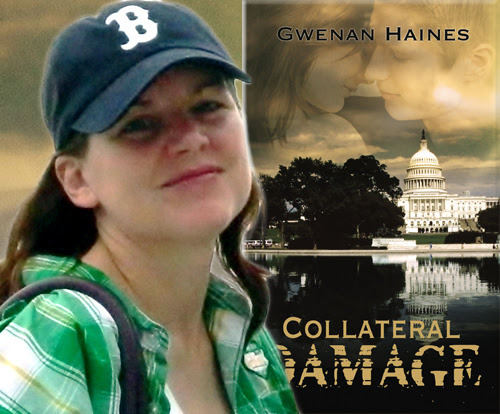 Today we have the pleasure of meeting up with author Gwenan Haines to talk about Collateral Damage (19 February 2016, The Wild Rose Press, Inc, 242 pages), a Romantic suspense. A very warm welcome to Gwenan Haines; thank you for joining us on BooksChatter! What was the inspiration for Collateral Damage? "Collateral Damage is partly based on the years I spent working in Washington, D.C. after college and partly based on an idea about how terrorists could put the city—and the country—into jeopardy. 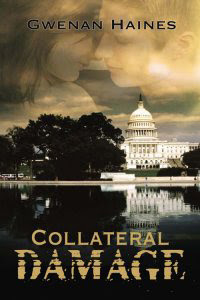 Thank you for joining us on the Virtual Book Tour for Collateral Damage, a Romantic suspense by Gwenan Haines (19 February 2016, The Wild Rose Press, Inc, 242 pages). Don't miss our interview with author Gwenan Haines. Author Gwenan Haines will be awarding a $25 Amazon/BN gift card to a randomly drawn winner via Rafflecopter during the tour. 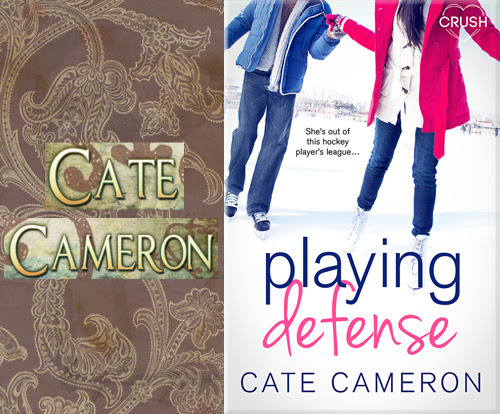 Today we have the pleasure of meeting up with author Cate Cameron to talk about Playing Defense (14 March 2016, Entangled: Crush, 178 pages), a Young Adult Romance , book two of Corrigan Falls Raiders series. A very warm welcome to Cate Cameron; thank you for joining us on BooksChatter! What was the inspiration for Playing Defense? "This is the second book in the Corrigan Falls Raiders series, and honestly, it was inspired by Chris Winslow, a minor character in the first book, the male lead in this book. I liked him so much when I was writing Center Ice that I wanted to write more about him, and I needed to find a female character who’d be a good match for him, but not so obviously perfect that there’d be no conflict, and Claudia was born. Everything else just fell into place."